From: NSW Central Coast, Australia. Calls Tofino BC Canada home. Favourite surfboard: 9ft Donald takayama longboard… Currently searching for a new faveourite traditional log style longboard. Words to live by: Share the Stoke, live the dream. 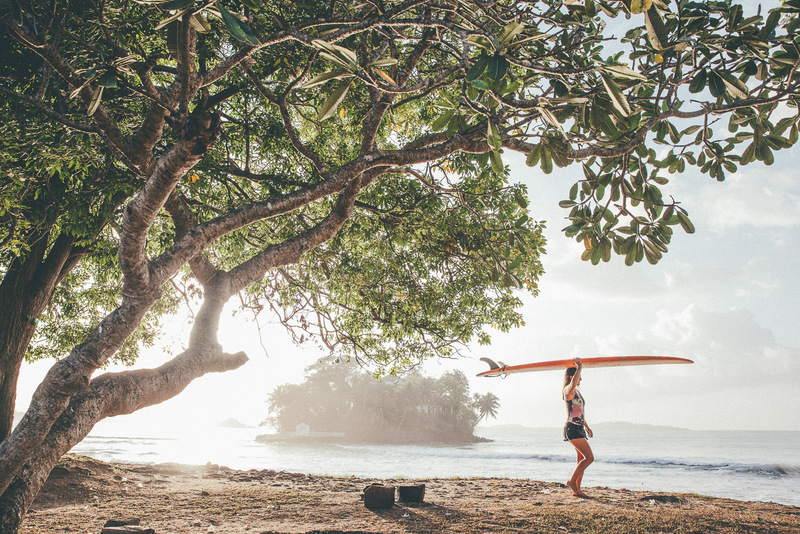 Favourite thing about Sri Lanka: Ultimate surf, travel, tropical island lifestyle. …. Waking up with sunrise, Cruising around exploring on my scooter, surfing in the warm waters, relaxing under coconut trees, watching monkeys play, hearing the various bird calls, being immersed in local culture and eating exotic fresh food; some personal faveourites include tuna , prawns, egg hoppers, coconut-banana-chocolate rotties, kuttu, papaya and the fresh coconuts. What is your surfing background? I grew up on the east coast of Australia, and my dad taught me to surf at a young age. I have a passion for the traditional style longboarding, but also enjoy shortboarding and retro fish boards. I have been competing in surfing since 1997, throughout Australia and Canada, and was recently crowned womens longboarding Canadian National champion. My love of surf travel and adventure got me into becoming a surf coach so I could live the dream, travel the world and share my passion of surfing. 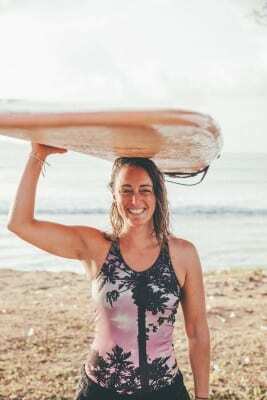 I have been a surf coach for 10 years and have taught at various locations throughout the world including Canada, Australia, Mexico, El Salvador, Nicaragua and Costa Rica . What is your favourite part about working at sunshinestories? Living and working as part of the local community, and being a part of the SunshineStories family. Meeting guests from around the world sharing inspirational stories and keeping Stoke levels high. All the party waves , smiles and shakas! Every meal is my faveourite meal, Especially fish and chip Friday! ← Wanna take your longboarding to the next level with a professional surfer? Sea You again soon I hope!